So as cars get more and more intelligent and let you know when they need a service, inspection, break pad replacement or oil change what are UPS manufacturers doing to warn you when it is time for a UPS preventative maintenance visit? Preventative maintenance is a necessity for any uninterruptible power supply (UPS system) whether you are running a small 1kVA single phase on-line system or a three phase modular UPS or parallel N+1 mono block installation at 500kVA. 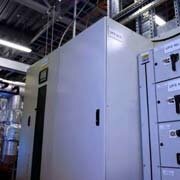 All UPS systems have consumable items and these include the batteries, capacitors and cooling fans. Batteries are the biggest and normally shortest life consumable within a UPS system and you will typically look to replace these within years 3-4 for a five year design life battery and years 7-8 for a ten year design life battery. All modern UPS systems have some form of intelligence built within them. This will vary from machine brand and design sophistication but what we are talking about is sensing circuits and test algorithms within the UPS firmware. These will be set to test various aspects of the UPS and monitor readings looking for variances and trends. It’s a single-control loop principle in that any variation against a pre-set threshold will lead to an alarm condition and necessitate a UPS maintenance visit. The more intelligent and advanced UPS systems will use predictive algorithms to highlight when it is necessary for UPS preventative maintenance visit. Unlike generators that can have a running hours alarm threshold, this does not hold true for many UPS systems. Why? Probably because when a generator runs you know it is doing work. With a UPS, unless you are monitoring power quality you don’t know how hard the UPS is working to condition the mains supply and prevent spikes, electrical noise, brownouts and surges from affecting your critical loads. The only time you really know that your UPS is working is when the mains power fails either during a full mains power cut or when the mains blips during an electrical storm. All the while the UPS batteries are being charged, discharged and trickle/float charged, again to a preset threshold. Of course the thing with the batteries is that they are not subject to electronic control in the same way as other parts of the UPS system. A sealed lead acid battery generates electricity as a result of a chemical interaction between the hydrochloric acid electrolyte and lead plates. The process efficiency reduces with age as battery plates sulfate and impedance rises and is greatly affected by room ambient. UPS preventative maintenance contracts are still therefore an important aspect and regular site attendance at least once a year should be mandatory. At least until UPS systems can become more predictive in their UPS maintenance needs.